Disagreements on parking run deep. Deeper than mere differences over policy. In fact, you and I may be thinking about parking in fundamentally different ways. We have different analogies in mind even if we don't think about them very clearly. 1. "Parking is an ancillary service for each building, like its restrooms"
Many people tend to see parking as an ancillary facility that needs to go with every building site, like fire escapes, plumbing or toilets. With this view, it seems obvious that planners need to make sure buildings have enough, so that there should be no excuse for anyone to do it out in the streets. It is the problem of 'spillover' that this approach is most concerned to prevent. As I have written before, this is the way the conventional suburban approach sees parking. It seems natural in places where buildings are isolated from each other, as they often are in auto-oriented suburban areas. 2. "Parking is infrastructure for its area, like local public transport facilities"
Others see parking as 'infrastructure' akin to local public transport facilities, such as stops, shelters, priority lanes and depots. This is infrastructure for the whole locality, not for specific buildings as in the restroom perspective above. It suits walkable, park-once districts. With parking as district infrastructure, spillover is not seen as a big worry. Nevertheless, with this perspective, parking needs to be planned. As with transit facilities, parking can be overwhelmed by demand or can be underutilized. And like transit, it is often seen as a tool for achieving various urban policy goals. So this view tends to put responsibility for parking outcomes onto government. I call this diverse family of approaches 'parking management' and it is common in inner city areas, at least in Western countries. 3. "Parking is real estate"
So we have a paradigm difference on our hands, with different people seeing parking in different ways. These analogies are not perfect of course. Analogies never are. You will easily think of lots of objections. But I still think they are helpful. They highlight the contrasts between various mental frameworks for thinking about parking and parking policy. It would be so much better if we could all be more explicit about how we 'frame' parking. This is a good schema, but these paradigms aren't necessarily mutually exclusive. 1- Spillover is an important concern for neighbours (rightly or wrongly); it can be addressed through minimums, but also through pricing, permits, or other management of street parking. Definitely a 'must consider', particularly if deregulating away from minimums. So I don't see the world through this lens, but I know that these concerns are (somewhat) valid and need to be addressed. 3- Opportunity cost: what are we giving up in order to provide that parking, and is it worth it? I also know that this is a key concern. All this to say that these aren't separate paradigms, but different (sometimes conflicting) pieces of a single puzzle. Obviously, different people and interests are going to emphasize different pieces, but they're certainly not mutually exclusive. Reminding disagreeing parties about the existence of all of these pieces is possibly a good strategy for thinking about the whole picture. Similarly, one could put forward a solution that prices/permits on-street parking (resolve paradigm 1), builds a shared parking structure (paradigm 2), and allows the market to determine the best amount of parking in consideration of opportunity costs (paradigm 3). So in sum, we need to frame parking discussions with all three. Thanks @DB for that thoughtful comment. I will ponder it more. But as a quick reaction, I think I would agree that we often hold more than one of these perspectives in our heads at the same time, applying them to different contexts or to different aspects of the same context. "A clarification. I am not so sure that the first analogy (1. “Parking is an ancillary service for each building, like its restrooms”) usually leads to ‘free market’ approaches. Its main result is local-government regulation: minimum parking requirements. So developers generally have little choice but to provide on-site parking mandated by this local government regulation. Sure, the parking is built by the private sector. But the supply had a floor set by governments. Ironically, the 2nd case (“2. 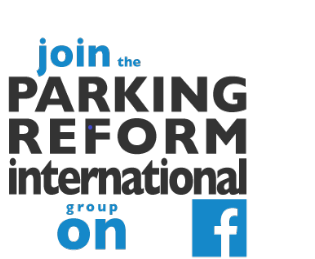 “Parking is infrastructure for its area, like local public transport facilities”) which is certainly more obviously about government planning, often prompts those governments to deregulate the parking minimums. For example, Berlin in Germany tends to see parking with that perspective. They have quite a bit of government-built public parking. But the city also abolished its parking minimums around 15 years ago (and didn’t impose maximums either)! Developers in Berlin can build whatever amount of parking that they deem appropriate based on their own market knowledge."